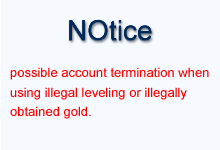 Is it safe to buy the gold in www.6cce.com? A: I always speak to myself: If I were a wow player, I will choose www.6cce.com! A:We accept all kinds of payment. Including PayPal, Postbank,MoneyBookers , Direct Debit, Giropay, Sofortüberweisung, iDEAL, Inteligo, eNETS, BBL HOMEPAY, NetPay, Nordea Solo, Solo, POLi, mBank, Debit Card, PKO BP (PKO Inteligo). But we advise you to pay via MoneyBookers, because MoneyBookers accepts all kinds of credit card (VISA, MASTERCARD, DELTA/VISA DEBIT, VISA ELECTRON, AMERICAN EXPRESS, DINERS, and JCB.) It will never be a problem to pay in 6cce.com! A:It is frequent in 6cce.com to provide Preferential Activities. We send promo code to our customers often, so getting a promo code is easy in 6cce.com .Meanwhile .Our price is unbeatable! Great saving for you! You can check it from our homepage. If you have any other questions, please feel free to Contact Live Chat 24/7 Online Service. We are always waiting for you.